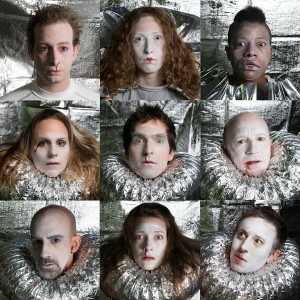 “Sans Everything” follows a spaceship of botanists compelled to perform “As You Like It” for reasons they cannot fathom. Set so far in the future that Shakespeare has been forgotten, “Sans Everything” imagines a world without stories and the dangerous results of bringing them back. “Sans Everything” is made in collaboration with Strange Attractor and Philadelphia’s Lightning Rod Special, and was developed in Philadelphia, Providence, New Orleans, and Boston.